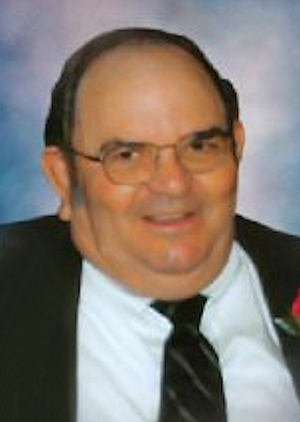 Obituary – Klinglesmith, Donald Gene « Perry High School Alumni Association, Inc.
Wrestling 46-50, Football 46-49, F.F.A. 46-50. 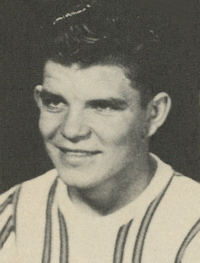 Donald Gene Kinglesmith, 86, of Perry, Oklahoma was born on January 1, 1932 in Perry, Oklahoma to Lewis P. Klinglesmith and Mae (Nolan) Kinglesmith. He went to be with his heavenly Father on August 6, 2018. He married the love of his life, Bunnie Lee (Ewy) Klinglesmith on July 2, 1950 in Perry, Oklahoma at the First Baptist Church. They met when Bunnie she was a Senior in high school and the rest is history. Later in life they had one son, Kyle whom they were very proud of. Right out of school Donald served in the National Guard from November of 1948 until September 1949. After serving his time with the National Guard, he enlisted in the Navy and stayed for 4 years. He served in the Korean War and was awarded many ribbons for National Defense, United Nations, Good Conduct, Korean Service, and several more. Donald worked for a year as a fireman before discovering his career as a mail carrier for Perry Post office. He worked at the post office for years while keeping his ties with the Perry Fire Department as a volunteer before retiring. Donald enjoyed fishing and traveling very much. He would take the family camping every year. He and Bunnie would sometimes take off in the camper for a few days at a time to drive and sightsee. He loved being able to be involved with his son and grandsons wrestling while they were growing up. He was the score keeper for the Perry wrestling team for 20 years which made him able to be at every match. Donald had his own airplane that he loved to fly. When he had the time to get out, he treasured being able to take the kids for rides. Donald had many hobbies. He liked to fish and travel, but most of all he loved spending time with his family. Funeral Services will be held at 10:00 a.m., Friday, August 10, 2018 at the First Christian Church in Perry, Oklahoma. Pastor Joshua Bell will officiate. Visitation will be held on Thursday August 9, 2018 from 9:00 a.m. until 8:00 p.m. The family will be receiving friends from 6:00 p.m. until 8:00 p.m. Services have been entrusted to the care of Brown-Dugger Funeral Home in Perry, Oklahoma. Memorials may be made to the First Christian Church in Perry, Oklahoma. Cherishing his memory are his loving wife, Bunnie of the home; his son, Kyle Klinglesmith and his wife Anglia of Perry, Oklahoma; brother, Rev. Billy Don Klinglesmith of Texas; two grandchildren, Jeffery Klinglesmith and his wife Shannon of Perry, Oklahoma, and Matthew Klinglesmith and his wife Lacey of Perry, Oklahoma; and five great grandchildren, Heston Klinglesmith, Easton Klinglesmith, Lexi Klinglesmith, Lyla Klinglesmith, and Kylee Klinglesmith all of Perry, Oklahoma. He is preceded in death by his parents, Lewis and Mae Klinglesmith, three brothers, and three sisters.